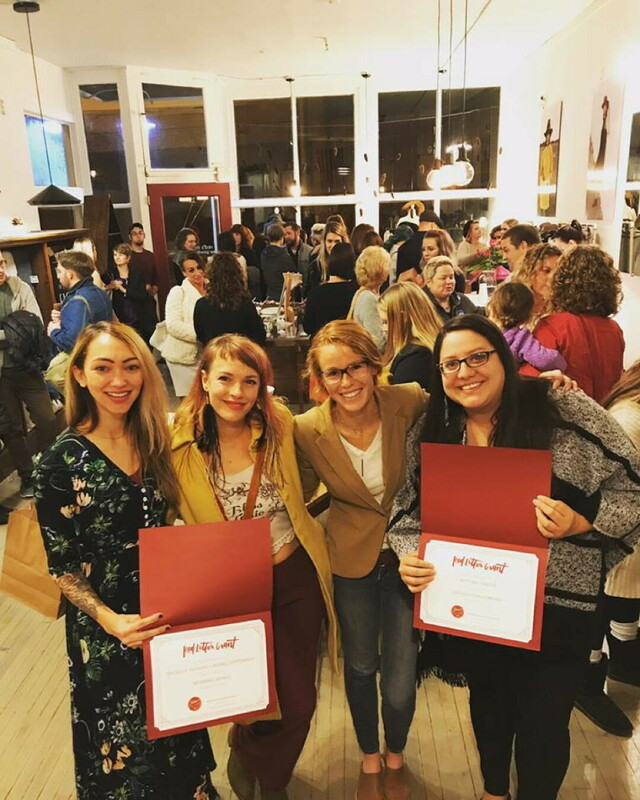 Two new women-owned businesses – Moonrise Aerials and Giizhig Design Company – are off to a great start, having received Red Letter Grants Nov. 6 to help them grow and market their new businesses in the area. Becca Cooke, owner of Red’s Mercantile, 224 N. Dewey St., started the Red Letter Grant program earlier this year on the first anniversary of her store with the purpose of creating more opportunity for women to own businesses in the Chippewa Valley. Cooke noted that at present, only 31 percent of the businesses in Wisconsin are owned by women, which she said leaves a “gap that we feel not only in ownership, but leadership and mentorship.” The grant was created to encourage more women to take risks to build a stronger, more innovative region, she said. The awards each include a $2,000 cash prize, $500 in print credits from Ambient Inks, and $250 in free advertising from Volume One. The grants are funded by a portion of the sales at Red’s Mercantile, donations, and area fundraisers. A five-judge panel chooses winners based on their viability to succeed, need for the grant, and passion for their business. “(The winners) have grit and hustle to make their businesses incredibly successful,” Cooke said. The two new businesses will offer something unique and new to the Chippewa Valley. Michelle Anthony and Rachel Duffenbach’s business, Moonrise Aerials, will focus on women’s empowerment through aerial yoga, aerial silks and lyra classes, pole, flow arts classes, open jams, workshops, performances, and student showcases. (Learn more at moonriseaerials.com.) Giizhig Design Company, founded by Brittany Tainter, is a graphic design and creative services agency based in Eau Claire. They will offer design services on a number of platforms, focusing on branding and outreach to Native American communities and other underrepresented groups. Another round of two Red Letter Grants will be awarded next spring to new, innovative women-run businesses. To learn more about the Red Letter Grant, check out: redsmercantile.com/pages/the-red-letter.